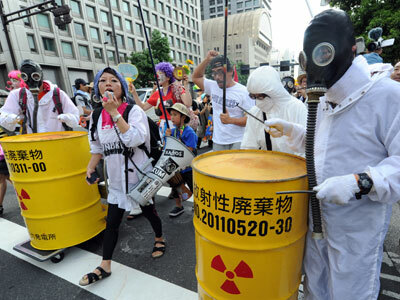 Two years after the Fukushima disaster, much of the clean-up effort is still ‘theoretical’, survivors go to court for compensation and thousands march against nuclear power, while the government gives up on the phase-out promise. Experts estimate closing the damaged Fukushima reactors down will cost around US$15 billion and will take about 30 to 40 years. Two years ago the worst atomic disaster since Chernobyl in 1986 was provoked by an earthquake followed by a tsunami. 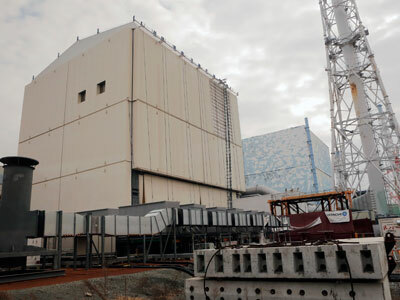 The natural disaster knocked out cooling equipment at the Fukushima Daiichi plant north of Tokyo, leading to the meltdown of three reactor cores. The catastrophe claimed 19,000 lives. “There are still buildings on the plant at Fukushima Daiichi that human beings cannot enter. There's a lot of work that cannot be done yet, because the radiation levels are too high. So at this point what's being done is that the grounds are being prepared for the work to come, but a lot of this work is still theoretical: how to remove the fuel, how to lessen the radiation there on the site and how to decommission the plants,” Robert Jacobs, associate professor at the Hiroshima Peace University, told RT. What hampers the clean-up process even further is groundwater flooding, with hundreds of tonnes of water seeping daily into the damaged reactor buildings. Japan seems to be willing to rely solely on its domestic heavyweights, such as nuclear reactor-makers Toshiba Corp and Hitachi Ltd, in the decommissioning process. 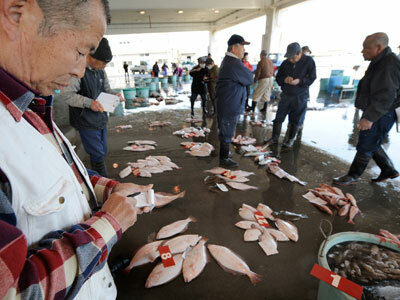 Companies from outside Japan have failed to win any of the 21 contracts awarded this year to develop clean-up technology, Reuters reports. And that despite companies with expertise in similar projects having taken part in the tender process. Companies like Louisiana-based Shaw Group, which carried out the clean-up effort after the Three Mile Island and Chernobyl accidents, and also participated in decommissioning eight US commercial reactors. Foreign bidders say this tactic of leaving firms with prior experience out will only make recovery process longer, while the Japanese argue it will be easier to contact domestic companies in case of problems. Eight hundred Japanese are ‘commemorating’ the Fukushima anniversary by launching a legal case against the government and the plant’s operator Tokyo Electric Power Co (TEPCO). One hundred and sixty thousand survivors of the disaster were officially displaced from the area around the nuclear plant designated by the government. Thousands more just outside the official contaminated zone made their own decision to flee their homes or, having nowhere else to go, stayed in places where the radiation level is still very high. Greenpeace’s latest radiation level test in October, 2012 showed the cleanup in a trial decontamination area in the village of Iitate has so far been insufficient, with radiation levels up to 5 microsieverts per hour. The government recommended safety level is 0.23 microsieverts per hour. Only those who were forced to evacuate by officials are being provided with monthly compensation. Others have to get by on their own. Not a single person has yet received compensation for loss of property, according to a February Greenpeace report, which also explains why. “TEPCO’s compensation procedures are complicated and restrictive, initially requiring applicants to fill in a form of more than 60 pages, accompanied by a 156-page manual,” Greenpeace says. People will try to get some help from the government and from TEPCO through a legal battle. However proving one’s point will not be that easy. “In Fukushima Prefecture data about some of the dose levels in areas where people were exposed was erased from a computer data base. So this makes it impossible to ascertain what kinds of exposures people had. This degrades their ability to understand what to expect in the future health-wise and also for them to be able to press any kind of legal case,” Jacobs says in his RT interview. The plaintiffs are seeking some US$535 each in compensation for every month they have been displaced as a result of the accident. Litigation might take years. The second anniversary of the Fukushima tragedy has once again brought the issue of nuclear power to spotlight. Anti-nuclear feeling is still strong in Japan, with thousands rallying on the streets of Tokyo for a total ban on the use of nuclear energy. Immediately after the disaster, Japan’s government promised to altogether abandon atomic energy by the 2030s. However, Tokyo quickly realized that the archipelago nation had no other means to ensure sufficient electric energy supply but to return to nuclear power generation. The new government of Shinzo Abe has taken on a more pragmatic, rather than emotional approach. 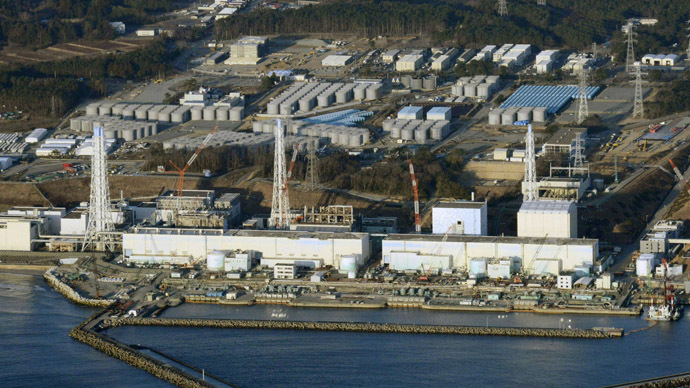 Japan’s prime minister has already announced six reactors will be re-launched this year. This rehabilitation of nuclear energy is something considered wise by Matthew Machowski, a nuclear security expert at Queen Mary University of London, interviewed by RT. He believes that “green energy at this time is not viable” for Japan at this stage and that Tokyo, as well as other countries, should work towards securing a "comprehensive energy mix". He also argues countries like Germany, Italy and Switzerland, who announced giving up on nuclear energy, are a minority, unable to influence the unfading interest in this type of energy. “Just last year in March 2012 the US has licensed a new reactor, just last month United Arab Emirates in the midst of energy's richest part of the world has produced plans for extra two nuclear reactors on top of the two that they are already building. And at this moment we have about 67 new nuclear reactors under construction,” Machowski added. Robert Jacobs believes the opposite. “The nuclear industry has essentially slowed down in the developed world because it is not cost-efficient, so that's not really a viable way forward, especially when you consider that the waste needs to be contained for hundreds of thousands of years,” says Jacobs.